As the gluten-free diet has grown in popularity, research scientists have started to focus on it as well. A few studies have indicated possible drawbacks to the gluten-free diet, including lower beneficial gut bacteria and increased arsenic levels. Find out why I maintain that a gluten-free diet can be perfectly healthy—as long as you know what types of foods to avoid. 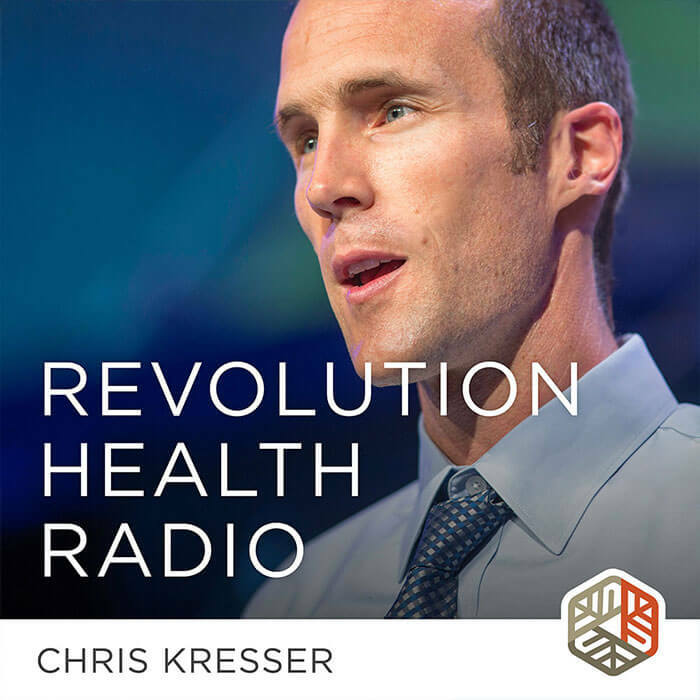 Chris Kresser: Welcome to another episode of Revolution Health Radio. This week we have a question from Pam. Actually, several people sent this question in, but I just chose Pam’s version of it and I think it will address everybody’s question on this topic. Let’s give it a listen. Pam: Hi, Chris. My name is Pam Grover. I’m a functional medicine doctor in Rochester, New York. I’m calling to ask a question that was posed by my patient a few days ago. She was doing some research and found an article written on the University of Wisconsin website that stated patients who followed a gluten-free diet could possibly be causing low good bacteria and putting themselves at risk for nutrient deficiencies. I myself have found that patients who follow gluten-free diets have a lot of benefit from that. And with the right nutritional guidance, they do not get nutritional deficiencies and also they can maintain good levels of lactobacilli. However you have always been a great resource of knowledge for the rest of us and I thought I would pose the question to you so you can shed some more light on the situation. Chris: Okay. Thanks again, Pam, for sending that question in as well as everybody else who sent similar questions. This is really a great example of the inherent problems with nutrition research because the study suffers from many of the problems that we see in this type of research, including confounding factors and healthy user bias. We’ve talked about “healthy user bias” many times before. For example, if a study finds that people who eat more red meat have higher rates of cancer or heart disease, does that mean that red meat is actually causing that increased risk of cancer or heart disease? If you’ve been reading my blog or listening to my podcast for any length of time, you know that the answer to that question is no, or at least we can’t be sure that the answer to that question is yes. That’s a more accurate way of putting it. We would need more information to be able to draw a causal link between those two factors. Unfortunately, when you see media reports of studies like this, the headlines and even the articles themselves tend to suggest that there is a causal relationship between whatever factors are shown to be associated in the study, which is really disappointing because if it’s a science reporter writing that article, and even the scientists who have those studies themselves should absolutely know better than that because as you learn in Research Methodology 101 class, correlation does not equal causation. You cannot assume just because two factors are correlated that there’s a causal relationship between them. Avoiding gluten? Simply substituting other flours for wheat flour is not the best option. Now, it doesn’t mean that epidemiological evidence, these kinds of observational studies, aren’t valuable. They are valuable and they can be used to generate hypotheses that can be tested in randomized controlled trials to see if there really is a causal relationship. And also, there are several other factors that can strengthen the likelihood that an associative relationship or two factors that are correlated together do have a causal relationship even without doing a randomized controlled trial. For example, is there a plausible mechanism that could explain a causal relationship? How strong is the association? The stronger it is, the more likely that it might be causal. Is there a linear relationship, meaning that the more one factor goes up, the more the other factor goes up or down? There are these other criteria that can be used to determine the likelihood that there’s a causal association, but even with those, we can’t be absolutely sure. We always need to keep this in mind when we see media headlines like this and even scientific studies that come out purporting to draw a causal relationship between two factors. In the case of red meat, if a study finds that people who eat more red meat have higher rates of cancer or heart disease, it’s at least possible and it’s actually very plausible, and it’s been shown to be true, and in studies that people who eat red meat, because it’s been perceived as unhealthy for so long, also tend to engage in other behaviors that actually are unhealthy, like smoking cigarettes, not exercising, not eating fruits and vegetables, eating a lot of refined flour and sugar, etc. It is more likely, in fact, according to better studies that have done a good job of controlling for all of these factors, that it’s not the red meat that’s causing the increased risk of cancer or heart disease, but it’s actually all of these other behaviors that are increasing the risk. Good research studies do attempt to control for those confounding factors. And by control for them, I mean remove their influence or limit their influence, but due to the complexity and number of these factors, the truth is, we don’t live in a vacuum. We don’t live in a controlled metabolic ward where all of these things can be isolated. We live in a really messy complex world. It’s really quite impossible to control for all of these potential confounding factors in a nutritional study, and that’s assuming we even know what all the confounding factors are. For example, over the last two decades, we’ve really come to understand how important the gut microbiome is to health and disease, yet virtually no studies even today control for differences in the gut microbiome between populations when they’re being studied. We don’t even know what some of the confounding factors are and much less are we able to accurately control for them in every study. We were talking about the healthy user bias and that’s related to confounding. I want to talk a little bit more about confounding. The definition of “confounding” is that it’s a distortion or inaccuracy in the measure of association that occurs when the primary exposure of interest is mixed up with some other factor that’s associated with the outcome. I can imagine for many of you that this went in one ear and out the other, but to put it in plain language, a confounding factor in a study is one that may create a false impression that there is a connection between two factors that are not in fact directly related. We’ll make this more clear. Let’s go back to the study in question that Pam mentioned. This study found that those who ate a gluten-free diet had lower levels of beneficial bacteria, and the knee-jerk assumption here (which, as we have discussed, is not a safe assumption to make) is that the gluten-free diet caused the low levels of bacteria. But again, correlation does not equal causation, so we can’t know that. Well, what we need to do is think about possible mechanisms, so what increases or decreases beneficial bacteria? What is in gluten-containing products that could positively impact beneficial bacteria, and what might people who are on a gluten-free diet be eating more of or less of that would lead to lower levels of beneficial bacteria? Let’s talk about the first question, which is, “What increases or decreases beneficial bacteria?” Well, the biggest dietary factor by far is fermentable fiber. There are numerous studies now that show that fermentable fiber, which means certain types of fiber that can be consumed by our beneficial bacteria in the large intestine or colon and thus lead to their proliferation, is the single biggest factor that determines the status of our beneficial bacteria from a dietary perspective. Certainly, there are other factors like antibiotics that affect the gut flora, but right now, we’re just talking about dietary factors. Someone who is eating a diet that is high in fermentable fiber is likely to have high levels of beneficial bacteria, whereas someone who is eating a diet that is low on fermentable fibers is likely to have lower numbers of beneficial bacteria. Wheat and wheat flour are relatively high in fiber. There are 12 grams of fiber per cup of wheat flour, but if someone is on a gluten-free diet, they’re not going to be eating wheat flour. The most common replacement for wheat and wheat flour products on a gluten-free diet, in at least the way that it is typically implemented, is rice and rice flour. Rice flour has 66 percent less fiber per cup, just 4 grams compared to the 12 grams in wheat fiber. That alone could explain the association. If you change nothing else in the diet, the only thing someone did on a gluten-free diet was switch their wheat flour products out for rice flour products, then that person could potentially significantly reduce their fermentable fiber consumption and that could conceivably lead to lower levels of beneficial bacteria. This of course leads to another question, which is, “Is a gluten-free diet necessarily healthier than a diet with gluten?” The answer to that question is, “It depends.” If someone just swaps out all of their wheat flour breads, crackers, and cookies with gluten-free versions of those foods—so, gluten-free bread, flour, crackers, cookies, etc.—then it’s really not much better from a nutritional perspective. Now, if that person is gluten intolerant, it certainly may be better from an inflammatory or immune health perspective, but in terms of nutrient content, nutrient density, and fiber content, that gluten-free (we could call it maybe a Standard American Gluten-Free Diet, if you will, which means that it’s basically still a lot of processed and refined foods but just gluten-free varieties) would be no better than the version of that with gluten and maybe even worse from a fiber-gut-flora perspective if rice is the main substitute. But people who are on a Paleo-type gluten-free diet, which substitutes starchy tubers like sweet potatoes, plantains, yuca, taro, and all of those kinds of plants, and then lots of whole fruits and non-starchy vegetables, nuts, and seeds for all of the refined-flour products like breads, crackers, and cookies, does that mean that that person who is on that really nutrient-dense, whole-foods diet is going to end up with lower levels of beneficial bacteria compared to someone who is eating a Standard American Diet? Of course not, that’s preposterous. In fact, the opposite is true because those tubers, fruits, veggies, nuts, and seeds are higher in fiber than wheat flour. How do we know this? Well, first of all, we can just look it up with sites like NutritionData.com or My Fitness Pal that show us the fiber content of various foods, and you can create a meal plan for a day with someone who is on a Paleo type of diet eating all those foods versus someone who’s on a Standard American Diet, and you can see that the Paleo type of diet comes out way ahead in terms of fiber content. We can also look at studies that have been done that look at the average fiber intake of the Americans following a Standard American Diet and then compare that with the average fiber intake of contemporary hunter–gatherers that are following their traditional diet. Those studies have found that contemporary hunter–gatherers sometimes eat upwards of 100 grams of fiber per day, which is five to six times the amount of fiber found in a typical Standard American Diet containing wheat flour and wheat products, so they’re not even in the same ballpark. It’s not even really a comparison. As usual, the devil here is in the details, and you have to look at these studies and news reports with a very critical eye that should in theory be the job of science reporters, but unfortunately, those seem to be few and far between at this point, and most people who are writing about these studies just seem to pull down their report from the newswire and really not investigate it at all. It’s also unfortunate that a lot of researchers aren’t more careful about how they present this research, although I know I’ve spoken to many researchers who complain that their comments are often taken out of context and distorted to make claims that they never made with their research or even with their discussions with reporters because reporters are interested in what gets clicks and attention. The nuance that is often present in research doesn’t really translate well to media stories that are trying to generate as much attention as possible. Reporters are often concerned that people will get confused if they tell the story as it really is and so they often will oversimplify it: “Gluten-free diet reduces beneficial bacteria.” That sounds easier to understand and maybe more interesting to click on than, “Study finds that people eating gluten-free diet have lower levels of beneficial bacteria. However …” And then, we go into this whole analysis that we talked about here. That’s not going to fly as well as just that oversimplified headline that I mentioned previously. It’s unfortunate that we don’t have better reporting in this area, but I guess that’s what people like me are here for and the many others in my field who are analyzing these articles and writing blog posts about them and getting the information out there. I suppose we’re lucky to live in a time where that’s even possible, compared to when I was growing up when we had gatekeepers for this kind of information that we had to rely on and it was much more difficult to define independent third-party analyses. As a side note before we finish up, I want to address another recent study that is in some ways similar to what we just talked about because I know I’ll get some questions about it. In fact, I already have. This study found that kids consuming a gluten-free diet had higher arsenic levels in their blood, and this was touted as a danger or a risk of a gluten-free diet. Well, again it depends on what you substitute for wheat and gluten. As we talked about before, in most cases, that is rice, and unfortunately, the rice products can in fact be high in arsenic. Now, I wrote about this back in 2012. If you google “Kresser arsenic,” it will be the first result that pops up at the top of the page on Google. The gist of that article was that Consumer Reports did a study and found high levels of arsenic in many rice products, including brown rice and rice milk. I think those were among the highest in terms of arsenic content. The lowest levels, interestingly enough, were found in white rice and in general rice that was grown in California, versus rice that was grown in India or other places. If a kid, or an adult for that matter, does swap out all of their refined wheat and just wheat products in general with rice and rice products, then it is possible that arsenic levels could go up. This is one of many, many reasons that I’ve argued for several years that the best option is to simply reduce your consumption of refined flours, processed foods, and grains in general (including rice and other gluten-free varieties) and just eat nutrient-dense whole foods that human beings have eaten for the vast majority of our evolutionary history—like non-starchy vegetables, starchy tubers, fruits, nuts, seeds, and of course some meat and fish. This is the ancestral template for human beings. It’s what we know works. It’s what we know feeds our beneficial gut bacteria because we evolved with this diet, and the bacteria in our gut co-evolved with us while we are on this diet. This is again where that evolutionary and ancestral lens comes in so handy and can really help us to sift through some of the apparent contradictions and things that are difficult to understand in modern research because we can look back and we can check out what happened from an evolutionary perspective, and then we know since most organisms evolved to survive and thrive in a particular environment that that is the kind of the default for that species, in this case, human beings. Anything that diverges from that default, we have to raise an eyebrow and take a look at. It doesn’t mean that automatically something that diverges from that template is not going to be healthy, but it does mean that it’s an aberration from a historical perspective and it’s something that we need to evaluate with a critical eye. Modern research is very important, but I think looking at it through the evolutionary lens is also important as kind of a check and balance against some of the things that aren’t necessarily clear from the modern research. Okay, so I hope that answered the question, and those of you who are on a nutrient-dense, whole-foods, gluten-free diet where you’re emphasizing all of those foods that I mentioned, you don’t have to worry about low levels of beneficial bacteria as a result of that diet. In fact you can be virtually assured that you’re going to have higher levels of beneficial bacteria than someone who is eating pizza, muffins, saltine crackers, and wheat flour-containing foods because the foods that you’re eating have much more fiber overall as a group than wheat flour-based foods. Of course that’s not even to include the other obvious advantages of that kind of diet, including nutrient density lowering inflammatory factors, less likely to contribute to chronic inflammatory disease, etc., etc. I hope that helps and please do keep sending in your questions to chriskresser.com/podcastquestion. I will talk to you next time. What about whole food flours like cassava, tigernut, and almond/other nut flours? Flour from any source will encourage overconsumption. Grinding up food of any type makes it easier to eat a lot of. Smoothies and juice have the same problem. Eat foods in their whole form as often as you can – and include the skin. However, for special occasions chose flours that have greater micronutrient density. Cassava doesn’t have very high nutrient density, although it’s better than tapioca which is refined. It’s on par with brown rice and corn flour. Nut flours fare pretty well nutritionally. Pumpkin, sweet potato, rye, teff, and quinoa have very good micronutrient densities. Well I’m actually trying to gain weight, which I have a very difficult time with because I fill up very fast, so whole-food flours and smoothies make it a lot easier for me to get more calories in throughout the day. I couldn’t agree more. This is something I talk to my patients about all the time. Its not about calories, it’s about nutritional value. Just because it says “gluten free” doesn’t mean its good lol. Focus on eating nutrient dense whole foods. What about this: http://www.bmj.com/content/357/bmj.j1892 ? I didn’t get through the whole article, but read quickly through the results. It says that gluten intake correlated inversely with alcohol, smoking, and fat intake. Could that be the cause of increased cardiovascular risk with decreased gluten intake? The people they studied were smoking and drinking more but eating less gluten?? I’m very curious to know your thoughts on this. Thanks! Esorphines that arise from partially degraded gliadin have opioid effects. This is one of the reasons why is so hard to ditch grains. Thanks for the podcast. The issue we are having in our family is that our daughter and I are sensitive to oxalates, and my wife cant eat potatoes which cuts out alot of the starches. As a result we do probably eat more rice than we should, as we generally feel better on a moderate carb diet, but we are looking into ways to replace rice. Any suggestions would be welcome! Chris: Another informative, science-based podcast. Appreciated! Flours of any kind may raise your blood sugar. Better to avoid and just eat whole foods. It’s very possible and even trendy to buy or make gluten-free breads, pastries, cookies, pizza, pasta, and various other “comfort” foods, thereby not changing one’s eating habits one iota. To those who eat like this I would say: “Who are you trying to kid? Do you really think you’re fooling your body?” All such food (if you can call it that) is nothing more than junk that contains bizarre ingredients. Instead, keep ALL refined flours and artificial sweeteners to an absolute minimum. Yes, you really CAN live without that stuff. I wonder if that would include tuber based flours such as cassava flour and tiger nut flour. It depends on the impact that the process of making flowers has toward the carb availability to our small intestine bacteria. I think that simply grinding with mechanical methods some cellular carbs you are not going to create as much mess as when you grind an already cellular carb (grains are already cellular by nature since starch is concentrated in the endosperm) through industrial methods that make carbs highly available and make them up to 80% of the flour. When carb density is high and they are not “protected” by a “living” cellular matrix, they provoke a bacteria overgrowth in the small intestine with a consequent cascade of proinflammatory pathways. To what extent processing is going to trigger this vicious circle is not yet well understood but we can be pretty much sure that any grain based flour is harmful. I have to say I agree. I do eat some flour form time to time though, mainly sprouted corn flour. I follow the principles of the WAPF. I believe as long as someone predominates their diet with meats/fish (grassfed/wild), raw dairy, vegetables, fruits, tubers, sprouted nuts/seeds, and sprouted legumes they could eat some traditionally prepared grain products without much of a problem. People have eaten sourdough breads for hundreds of years without much of a problem. Sprouted oats are another good one for people who don’t like to give up oatmeal. So it’s all about context, in my opinion. If you eat mostly the good foods as previously mentioned, and only eat grain (that’s been properly prepared) occasionally you’ll be fine. If grain is a staple food then that could develop a problem. Of course this is not counting anyone with pre existing health conditions. People with autoimmune disease and arthritis might want to eliminate grain entirely, for a period anyways. Also diabetics might want to be cautious about grain because grain contains amylopectin (often dubbed the “super carb”) which can spike insulin in people with insulin problems. I was making my own sourdough spelt bread for several years. Even though I was leaving it ferment for several days to thoroughly pre-digest the gluten, I have found I do better avoiding all gluten, fermented or not. Gut symptoms from reintroducing gluten too early indicated the gluten from the spelt bread had been causing harm to my gut. I do have an autoimmune illness. I do well on rolled oats though, that I soak for a couple of days in kefir. A HFLC diet has made a huge difference with eliminating infection and reducing neurological symptoms. Very very well stated. Besides, gluten free product, aside from being acellular carbs that trigger havoc upon our body as brilliantly explained by Dr. Spreadbury, are full of vegetables oils high in oxidated PUFA, one of the most pro inflammatory food in the world. Why does research waste a lot of money for meaningless studies like this instead of getting rid of reductionism to focus on real nutrient dense food VS fake processed food? Oversimplification and reductionism is at the service of business. The more people are confused the more they buy the mainstream junk. I have been on a gluten free diet 37 years and I am in good health with no joint pain, skin problems or gut problems. Any diet that relies on processed food, will eventually lead to ill health. I am not obese either. These issues start with trying to continue to eat the old way ( i.e. bread, pasta, cookies). I simply don’t eat GF baked goods or pasta. If there is concern for vitamin or mineral deficiency take a multivitamin or eat liver. Fiber is something that can be added as well with increased vegetable matter. Well said Dr. Lauren! 37 years? Well done! Liver (from a good source) is one of the best things you can eat. I just need to convince my wife it tastes good 🙂 If you know a good recipe let me know!